Smart Phones have gone a long way in the world of technology. It has become a very common product to be used by everyone including children. These smartphones have many variants and are developed by different companies to keep cutthroat competition. It depends on the user’s preference to choose the best smartphone from the shelves. But the most common and used feature of any smartphone is the camera. It has a lot of usage for almost all the users who keep on clicking pictures and making videos. It helps to make good memories as well as it is done for professional use as well. 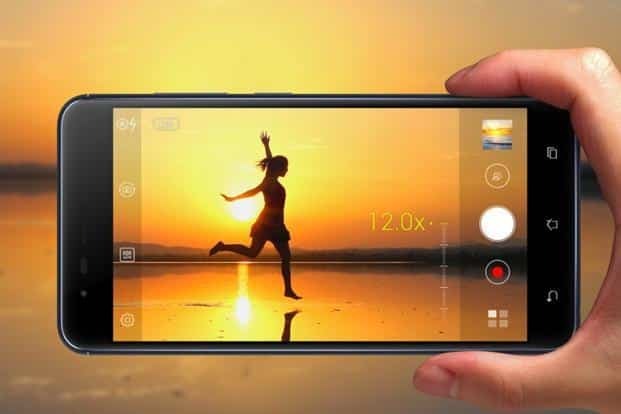 So, let us look at some of the best smartphones with great cameras to help you get the perfect picture and videos. This phone is only known for its camera as most of the users purchase it for the best available camera quality. But this would not mean that the other features of the phone are not that great. It ranks in the top 10 smartphones of 2018. Google Pixel 2 and Google Pixel 2 XL are the two variants that would give you an option to choose accordingly. The main camera is 12.2 megapixel and the front one is at 8 megapixels. But the camera quality beats almost all the smartphones including iPhone. iPhones need no introduction to any user. But it has lost the battle of camera quality to Google Pixel 2 XL. Despite it having the dual camera with 12+12 megapixels, it is the second best smartphone for the camera. Apart from this the phone ranks at the top for all the features. But you would have to burn a hole in your pocket to get this piece of technology into your hands. The battery life is great for taking pictures and videos and would sustain for a day with ease. Samsung has been one of the top manufacturers of smartphones. It has brought in a revolution among the smart phone users and ranked on the top. Samsung Galaxy S9 + has a dual camera and features a great aperture. The camera algorithm has been improved to give it better results even in low light. This makes it one of the best smartphones for the camera. The output time is faster this time with the dual pixel sensor focus. It has a 12+12-megapixel main camera and an 8-megapixel front camera. Samsung Note 8 has the best features for a camera with bokeh effects and has great results for regular shooting. It has a separate set of bright frames and chooses the vivid colors which is liked by the users. The primary camera is a dual one with 12 + 12 megapixels and the front camera at 8 megapixels. It gives a tough competition to the iPhone 8 plus and iPhone X but stays really close to the Google Pixel 2 XL. The dual camera feature has made LG V30 Plus one of the most desired smartphones in this genre. It offers great quality pictures and videos for all users. It does not matter if your images and videos are taken in low or bright light as it adjusts itself for the best camera experience ever. With 16 + 13 megapixels in the main camera and 5 megapixels in the front, it is a great deal for all camera lovers. The battery life is also great to support the kind of images and videos you shoot.